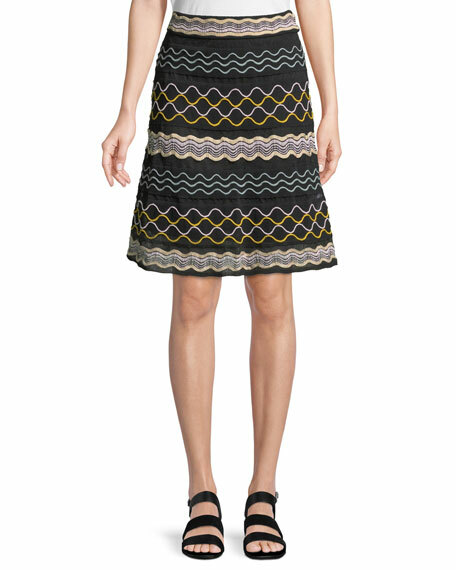 M Missoni skirt in ribbon wave stripes. Thick band sits at natural waist. 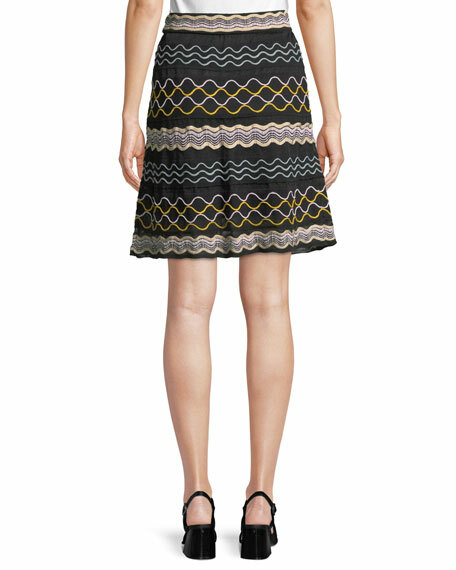 For in-store inquiries, use sku #2479603.